The Mets on Thursday signed chubby veteran defensive specialist Henry Blanco to further bolster a catching corps that earlier in the week landed Chris Coste and apparently isn’t done shopping yet. 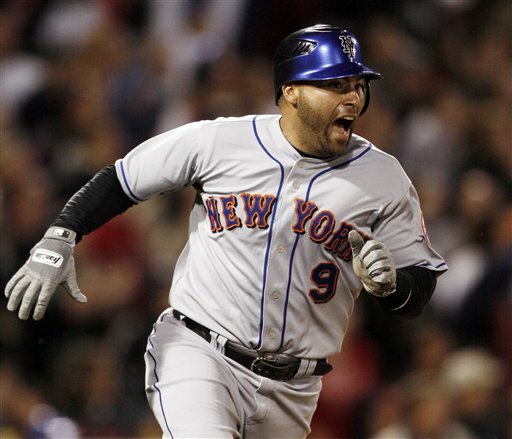 The Mets will become Blanco’s 8th team in 12 years. His numerical history is just as busy, having worn 54 (Dodgers), 35 (Rockies), 12 (Twins), 20 (Braves), 21 (Twins), 9 and 24 (Cubs) and most recently, 28 with the Padres.Given that Blanco looks to inherit Omir Santos‘ old role as primary reserve, he could wind up in No. 9, but I think he takes what he gets. Surely he’s a better bet for the 23 jersey Brian Schneider just gave away. Or they could salute themslves for being Blanco’s newest employer and dust off the old No. 8 that’s been in storage for years while they tentatively wrestle with the idea of honoring Gary Carter. But I wouldn’t count on that. Who Blanco caddies for remains a mystery. The Mets are said to admire Bengie Molina though I cannot understand why. As said before perhaps they look into a trade. Ryan Doumit of Pittsburgh? Dionner Navarro of the Rays? Who knows. Thanks to Jack Looney’s indespensable NOW BATTING NUMBER for the Blanco history. 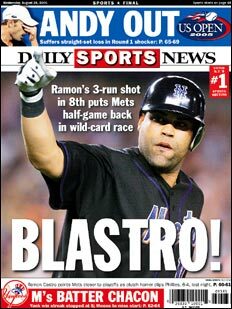 The controversy of the Mets’ catching situation seemed almost too easily resolved as Ramon Castro was traded to the White Sox on the same night that Omir Stantos drove in both Mets runs, including the walkoff gamewinner, and Brian Schneider returned to the dugout for the first time in weeks. Castro, the meaty backup who’d been a reserve forMike Piazza, Paul LoDuca and Schneider, and who provided a buttload of big moments for the Mets, was swapped for Lance Broadway, a tall 25-year-old one-time prospect.Castro leaves as the longest-serving No. 11 since Tim Teufel (1986-91). Despite ranking sixth in games played among Met 11s, Castro has more home runs and RBI than every Met 11 except Teufel and all-time leader Wayne Garrett. Broadway — who just has to appear in New York at some point — is assigned for now to the starting rotation at AAA Buffalo. He was wearing No. 41 in the White Sox bullpen before the trade. Good luck to Castro, who despite frustrating the Mets with injuries and a seeming unwilliness to take over starting duties when the team needed him, at his best was probably a better hitter than Santos will ever be. But, Santos certainly has been the man for this season, and the next few months will probably be pretty close anyway. Never too late, as far as I’m concerned, to vote in the poll predicting Fernando Martinez‘s uniform number. 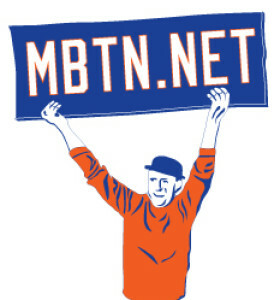 Although the watch was a false alarm last year, with martinez destroying it in AAA Buffalo and Ryan Church the latest Met to be suffering injury (the NY Daily News reports a trip to the disabled list is under consideration, especially while Carlos Beltran nurses a sore knee) it’s possible we could see “Fartinez” as soon as this evening. Martinez is wearing No. 3 in Buffalo (Alex Cora occupies it here) and had 67 in spring training. The poll — pretty much neglected for months — showed some support for No. 8 perhaps as a backlash for the Mets seeming reluctance to re-issue since Gary Carter‘s election to the Hall of Fame along with Carter’s gauche politicking for the managing job. Ten games in and I’m still trying to figure out what kind of team the Mets have here. I’m encouraged that the big hitters for the most part are off to a good start but worried about the starting pitching. The so-called “clutch hitting” hasn’t come around but neither have Jerry Manuel‘s revoltingly passive game plans, which might be driving me craziest of all. Camon, Jerry: If you’re going to call a sacrifice bunt every time a leadoff hitter reaches base, you had better be cashing that runner in consistently not to mention executing the sacrifice properly in the first place. But the success rate on both tasks has been just dismal and the sense of gently screwing yourself out of opportunities is palpable. Play with only two outs every time you get a guy on base and of course the clutch hitting is going to look awful. It came as no surprise to me that both of John Maine‘s poor pitching innings the other night came after failing in sacrifice situations the inning before. Not to put too fine a point on it, but bunting is for losers. Anyway, Thursday’s game marked my first visit to CitiField and other than a bad game and an arctic chill every bit as cold as Shea on its rawest day, I was impressed with the new park. I like the wide concourses where plenty of light and a lack of crowding helped me recognize friends wandering around I would never have come across in the old building. My modest seats this season — up in Promenade 521 — more or less replicate the look from Mezzanine 10 in the old place, which is fine with me and every bit as affordable. I ate El Verano tacos and Box Frites and can recommend both. I do not like not being unable to see the bullpen. Bottom line: If the Mets can play better and the weather can get warmer, we’ll all have an excellent time there. The 9th inning rally tonight featured the debut of reserve catcher Omir Santos, who was recalled from Buffalo this evening when Brian Schneider went onto the disabled list with back woes. Santos wore No. 9, recently turned in by Marlon Anderson. As for Schneider, I wouldn’t be surprised if his run as the starting catcher could come to an end sooner rather than later.